Popular historic sites such as The House of the Seven Gables and Hammond Castle are in your itinerary. Your itinerary includes some good beach time at Good Harbor Beach and Crane Beach. 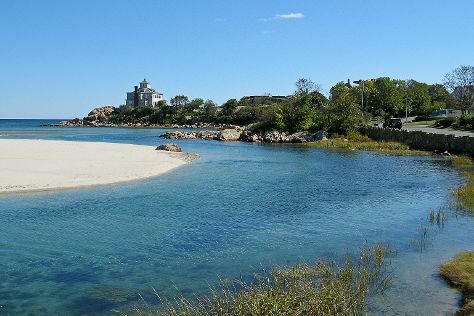 Explore the numerous day-trip ideas around Salem: Canobie Lake Park (in Salem), Gloucester (Fishermen's Memorial Monument & Dolphin & Whale Watching) and Rockport (Motif Number 1, Bearskin Neck, & more). The adventure continues: explore the different monuments and memorials at Old Burying Point Cemetery, take an in-depth tour of The Witch House/Corwin House, stroll through Salem Witch Trials Memorial, and enjoy the sand and surf at Revere Beach. To find ratings, other places to visit, where to stay, and other tourist information, go to the Salem trip planning site . Expect a daytime high around 75°F in September, and nighttime lows around 54°F. Cap off your sightseeing on the 29th (Sun) early enough to travel back home.